There’re also concept of “RAM” and “CPU” in TRON, which means” Bandwidth Points” and”energy”. TRON’s DApp can choose to consume the player’s energy or consume the developer’s energy when deploying the contract. If you choose to consume player’s energy without freezing TRX, the smart contract will automatically deduct the corresponding TRX as a transaction fee. That is why many players find that the TRX they actually get does not match with the TRX they should get when playing DApp. If you want to obtain the bandwidth by freezing TRX, the amount is freezing TRX for obtaining the bandwidth /the freezing TRX of the total network for obtaining the bandwidth* 43,200,000,000. That is, according to the freezing TRX, all users divide the fixed bandwidth. Freezing TRX is the only way to get energy. 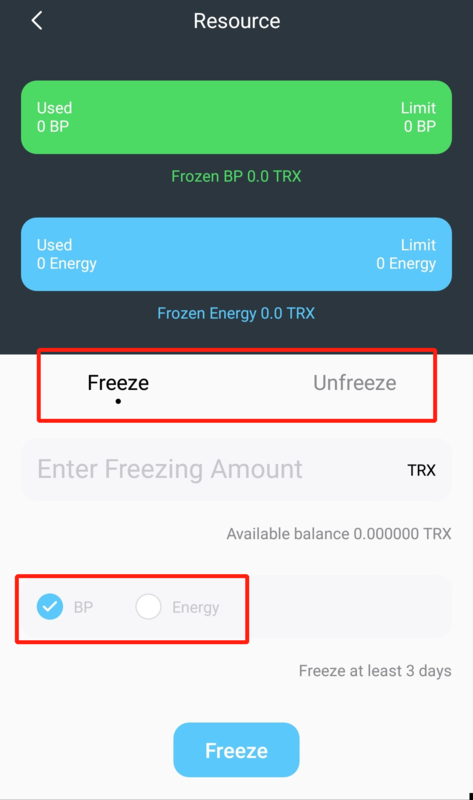 Energy quota=Freezing TRX for obtaining energy/Total TRX frozen for energy* 50,000,000,00. That means, according to the freezing TRX, all users divide the fixed energy. 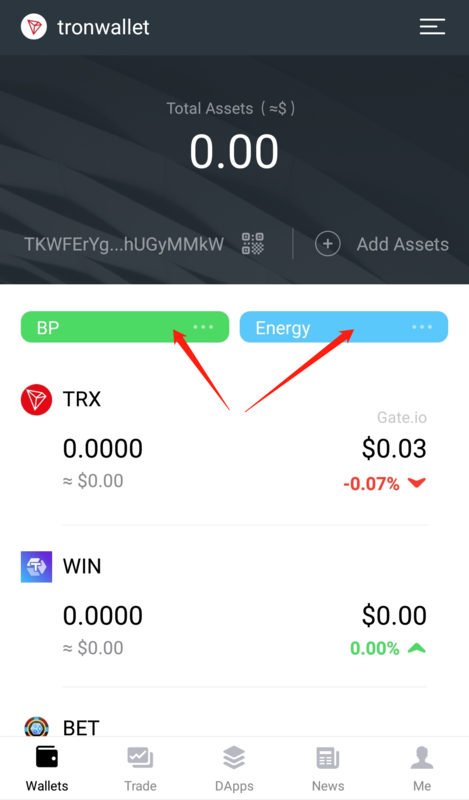 You can get TP (TRON Power) by freezing TRX. You can get 1 TP by freezing 1 TRX and 1 TP equals 1 vote. You can choose to obtain Bandwidth Points or Energy. The amount depends on the percentage of TRX that you are freezing in the whole network. According to the resource you get, you can unfreeze them separately after 3 days from freezing. But remember that it must be 3 days later if you want to unfreeze the freezing TRX. After unfreezeing, the TP, obtained bandwidth (or energy) and other resource’s corresponding parts will be removed. You can get 5000 bandwidth for free everyday. After unfreezeing, voted TP will be removed. You need to re-freeze TRX to get the TP and vote again, to ensure that your voting rights are not affected. Click either【BP】or【Energy】, select “freeze/ unfreeze” to get bandwidth and energy.